What the hell’s this silly dirtbike doing in your BSN news feed? 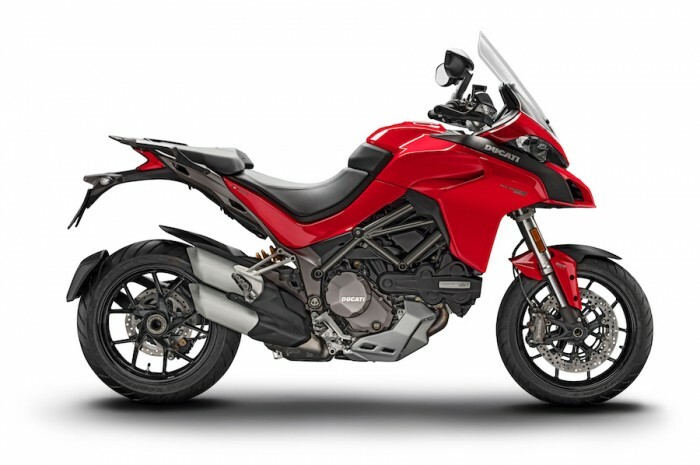 Well, fact is, Ducati’s Multistrada is probably the closest thing to an ‘adventure superbike’ you can buy. Since the first 1200 appeared in 2010, it’s been the cognoscenti’s choice for utterly crackers cross-country performance. The simple prescription of a barely-detuned 1199 Panigale-level engine, in a sharp trellis frame with superbike-spec brakes and long-travel suspension made the MTS1200 probably the fastest way to get places in the real world. Want to ride from London to Cadwell? Or Aberdeen to Knockhill? Stay away from motorways, and the Multi will trounce anything else. The grunty motor, compliant chassis, storming brakes and high-spec riding aids simply chews up bumpy backroads, potholes, slippery hairpins and all that other nonsense. The fact you arrive in total comfort, with warm hands, an ache-free back and a big smile is the icing on the cake. 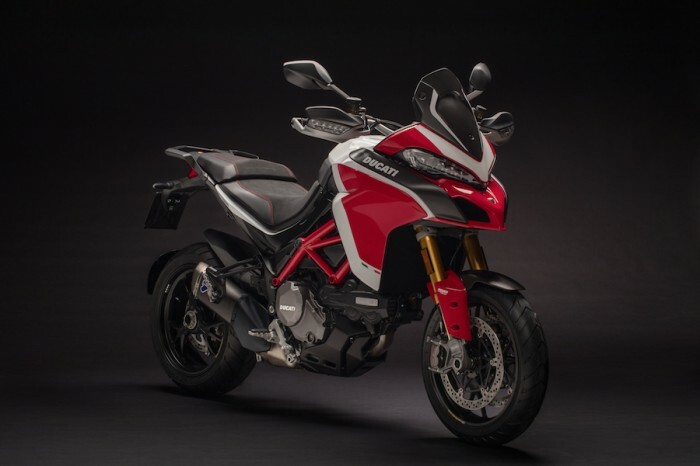 So – we like the Multistrada. And we’re very pleased to see Ducati ladling more of the good stuff onto it. For 2018, we get an even bigger 1,262cc desmo V-twin motor, which ratchets the torques up even more: nearly 20 per cent more foot-poundage at 5,500rpm, with a storming 158bhp peak power output. The capacity increase comes from a longer stroke, hence the same peak power ballpark, with better low-down torque. Away from the engine, the MTS stays much the same: the S version has semi-active Sachs suspension with electronic adjustment, all variants are crammed with riding aids: cornering ABS, IMU traction control, power modes, wheeli control and a hill-start brake function. The posh Pikes Peak version comes with manually-adjusted Öhlins forks and monoshock, bringing a few kilos of weght redution over the electronic kit.